Even if the word ‘smudging’ does not ring the bells of familiarity in your ears, almost every major religion, and that includes Catholicism, has a ritual that is similar to smudging. 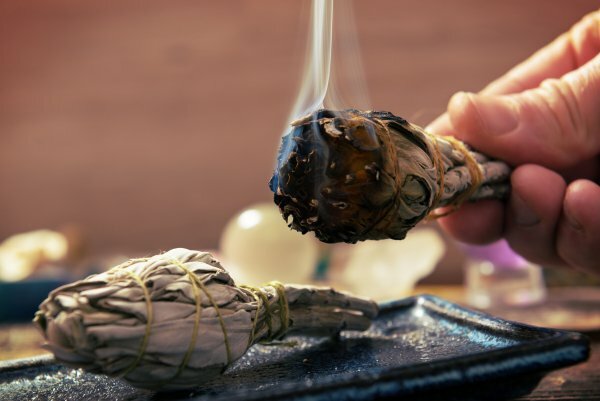 Smudging is basically the ritual process by which smokes from certain purifying inflammable substances are used to fumigate and purify the space the smoke fills. Beliefs differ, but the purifying is either done to rid the space of pests and pollutants, or to rid the space of spiritual pollutants, mostly evil spirits or negative energies. The ritual of smudging is not, contrary to American belief, a so-called new age technique. It was practiced by the Native Americans for centuries and fans of Stephen King will attest to having read about something similar, in his seminal novel, It. The ritual among the Native Americans was called the Sacred Smoke Bowl Blessing, and comprised burning special herbs in a small bowl and fumigating property of spiritual and negative preternatural forces. Nowadays, the process has been made even simpler for those practitioners who are interested; there are ready-made smudging bunches available, that you can burn and use. There was a discussion on an online debate once about whether the negativity-removing effect was meagrely a placebo effect, like the technique used by scientists in order to test the effectiveness of a drug; the argument was that, and this is scepticism at its best, does the smudging really remove negativity or does the act just make one subconsciously more positive, in order to have faith in the smudging. The question is, even if that is indeed the case, does it matter? Does it matter, as long as the practitioner comes out as a more positive person after the experience? Also, a study published in the Journal of Ethnopharmacology studied smudging methods from more than 50 cultures and the results were quite interesting. For one, they found out that smoke as a delivery system was far more ancient than they thought and more widespread than they thought, and that it could address neurological, dermatological and pulmonary concerns. Not to mention, it was quite effective at removing airborne disease-causing germs too. As a matter of fact, an hour-long smudging session removed 94% of airborne bacteria, improving air quality without the danger of the chemical aerosols that modern-day anti-bacterial sprays come with. What’s is more, the effect was apparent for a month after the treatment with no discernible bacteria discovered. So it really begs the question, if the smudging kills bacteria in a safe, chemical-free way, doesn’t it impact our physical well-being profoundly, making our inner home environment noticeably healthier and more sanitary? And with better physical health, it is only obvious that better mental health and peace of mind will follow. So was this what this healing, cleansing techniques are all about? Was the legend of removing negative energy only a rhetoric our cultural ancestors chose to explain the fact that this fumigation technique profoundly and positively affected our physical well-being? Well, whatever the answer to that is, don’t you think it deserves less scepticism? Would you try it out in your own space? I know I wouldn’t mind.
? Ireland To Become World’s First Country To Divest From Fossil Fuels 7 Things To Remember When Life Gets Rough ?